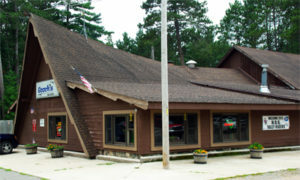 Come and have a seat at Gooch's A-One Bar and Grill in Boulder Junction, Wisconsin. Gooch's has a wide selection of sandwiches, salads, and dinner entrees to choose from. Bring the family to Gooch's A-One Bar and Grill and enjoy great dining in a family atmosphere. Located 3 miles North of Boulder Junction on Highway M.
Gooch's is famous for Broasted Chicken...eat here or grab a bucket to go. Friday Fish Fry is your choice of either Beer Battered or Broasted Cod. Open 6 days a week... CLOSED ON WEDNESDAYS. Kitchen is open Sunday through Thursday 11am to 9pm and Friday and Saturday from 11am until 10pm. Kitchen open Sun-Thur until 9pm, Fri & Sat until 10pm. © 2019 Gooch's A-One Bar & Grill | All Rights Reserved.